1.Items will be shipped within 1-3days after payment cleared. 2.It usually takes approximately 2-3days business days to receive order. RedTOP Tattoo Supplie with over 13 years experience of tattoo, body piercing and needle making, we have combined our expertise to bring you a faster, friendlier and more efficient supply service. By using RedTOP tattooing equipment and tattoo supplies you can be sure of receiving quality equipment, made from the finest materials, backed up by a wealth of knowledge and an excellent sales and after sales service. 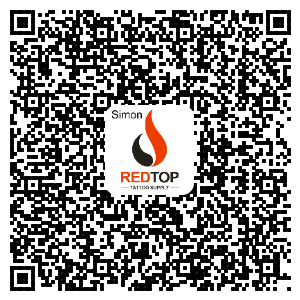 Based in China, ,we provide tattoo supplies and tattooing equipment throughout the China and the world. We can supply traditional Inks, tattoo machines, ready made needles, medical supplies and other tattooing equipment. Browse our extensive range of products, from tattoo supplies such as power supplies, footswitches, stainless steel grips, needles and scissors, to tattooing equipment such as stainless steel, chrome and phosphorus bronze tattoo machines, and our medical supplies which include Adhesive Dressing, Braun Cannula Needles, Tongue Depressors, Skin disinfectant and Latex Lightly Powdered Gloves. We also supply various traditional and tattoo inks in various colours. Browse our site to view details of all our products. we can deliver any of our extensive range of products anywhere worldwide from our base in China. Choose Inspire Tattoo Supplies, RedTOP for all your tattooing equipment needs. Looking for ideal PCD Microblading Pigment Manufacturer & supplier ? We have a wide selection at great prices to help you get creative. All the Best Microblading Pigment are quality guaranteed. We are China Origin Factory of Cream Permanent Makeup Ink. If you have any question, please feel free to contact us.